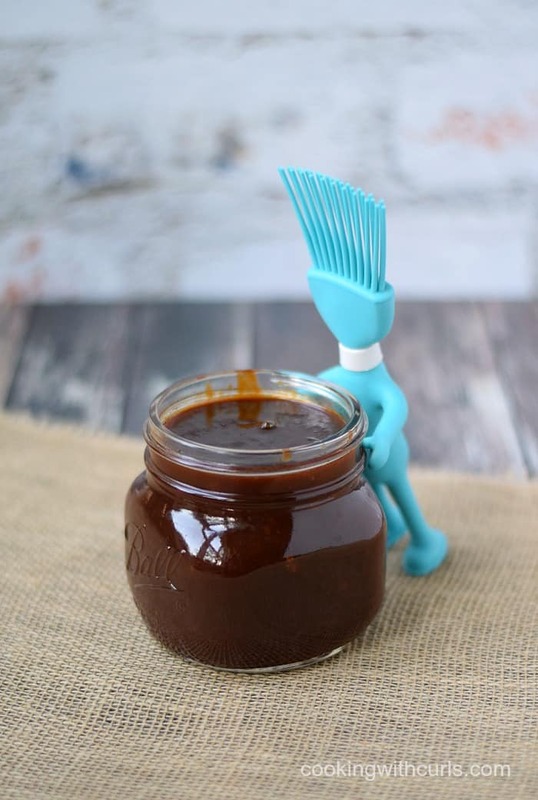 Have you ever made your own barbecue sauce? 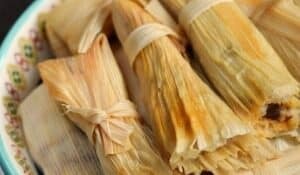 I have actually made several already, but I am always being asked how to make them without alcohol. Well here you go…Tangy and Sassy Barbecue Sauce…with no alcohol! I bet you weren’t sure that I could come up with one. 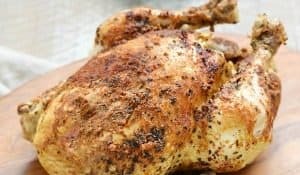 Well technically my friend Deb from Cooking on the Front Burner came to the rescue and gave me the link to her Tangy BBQ Sauce to use as a starting point….. I came up with the name for this sauce, after taking the photo with my crazy, basting brush head guy. I knew that I needed something fun, and playful to go along with that photo, LOL….. This barbecue sauce is thick, and tangy as you can see by the name, but it is not what I would consider a sweet barbecue sauce. 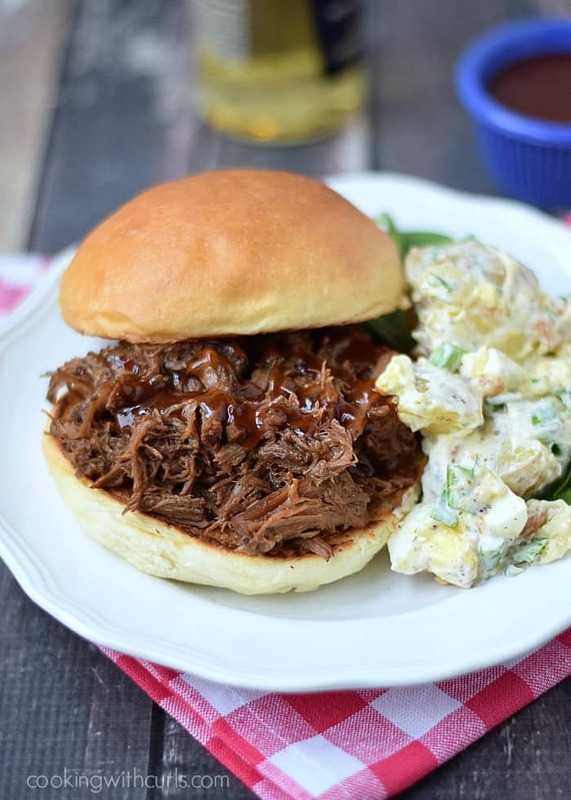 I made this sauce for this month’s main course for Cooking with Astrology “Virgo” – Slow Cooker Barbecue Beef Sandwiches…..
but it would also be perfect on ribs, chicken, or burgers…and it could not be any easier to make! 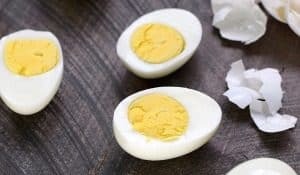 Heat the oil in a medium sized sauce pan, and cook the chopped onions until translucent, about 10 minutes…..
Add the garlic and cook for 1 more minute. 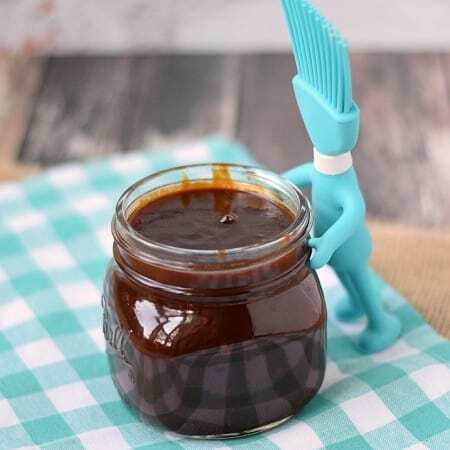 Add the tomato paste, brown sugar, and water, stir to combine…..
Add remaining ingredients, stir to combine…..
His little feet are suction cups, so he doesn’t fall over and spill sauce all over the place while you are using it…in theory anyway. 😉 I have yet to get him to stand up for any length of time, LOL. He looks really cute sitting on top of the range, so I keep him around! Heat oil in a medium saucepan over medium heat. Add the onion and cook until translucent, about 10 minutes. 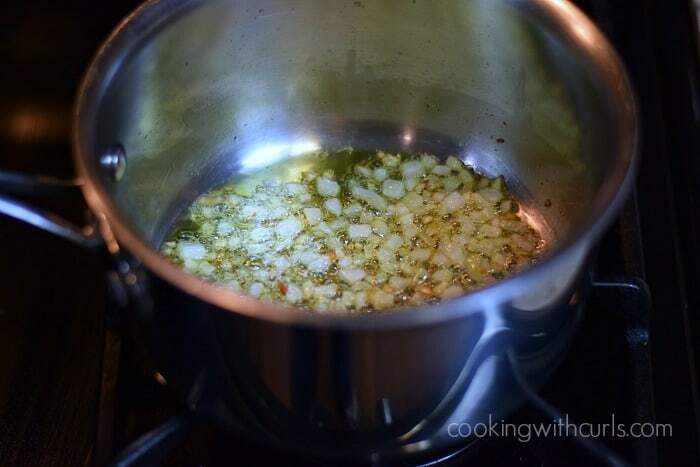 Add the garlic and cook for 1 additional minute. 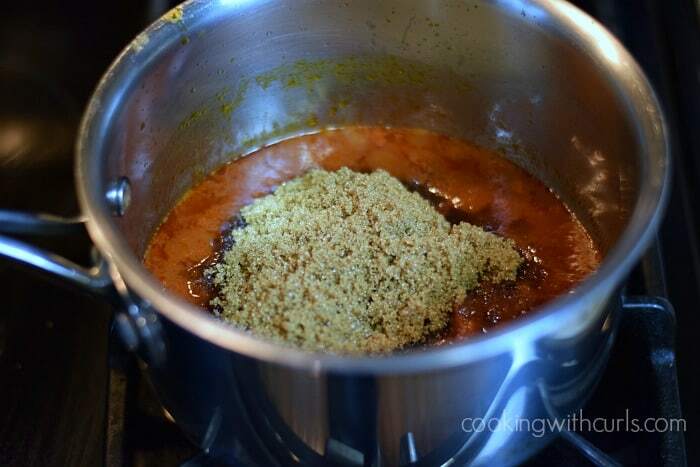 Add the tomato paste, water, and brown sugar, stir to combine. Add the remaining ingredients, stir to combine, and bring to a boil. 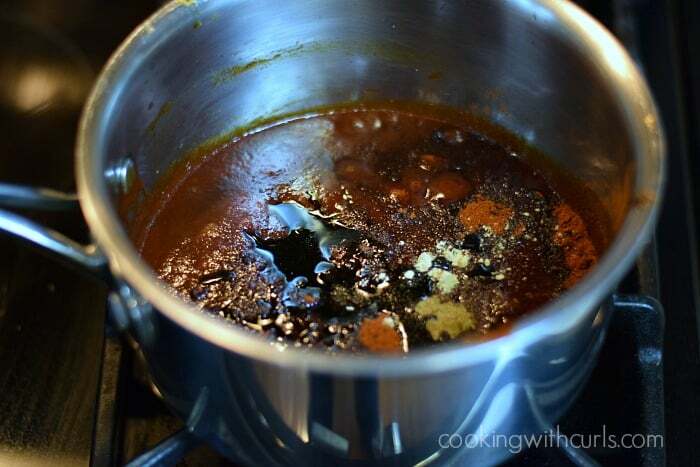 Reduce heat and simmer gently for 30 minutes. Recipe adapted from my friend Deb's Tangy BBQ Sauce at Cooking on the Front Burner. OK, that little pastry brush is absolutely adorable! 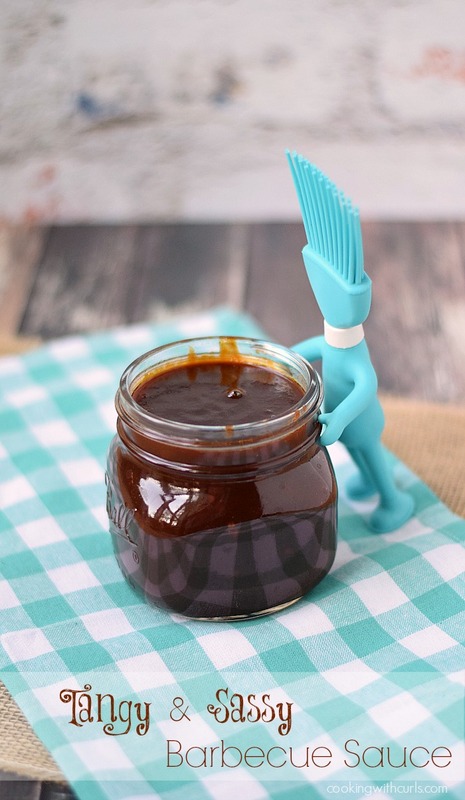 And this barbecue sauce with molasses and brown sugar sounds mouthwatering! Homemade BBQ sauce is the best! I love all the ingredients in here…pinning! Your sauce turned out great Lisa! I really like your brush! Lisa, this sauce sounds incredible and that sandwich loos amazing! I am in love with your brush guy and I totally want one! 🙂 Pinned and sharing – have a great Tuesday! I’ve never made my own bbq sauce! The flavors in this sound amazing!! 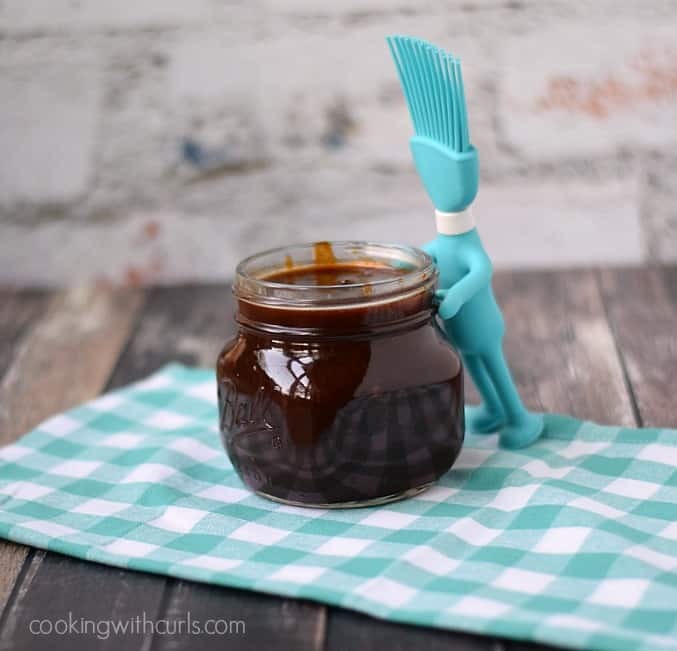 I don’t know what I love more.. your basting brush friend or this recipe! I wish I could hug them both! Ebay is a dangerous place, I just couldn’t pass up that brush. 🙂 Thanks so much Andi! !